The secrets this group revealed were compiled in the 18th century into a ritual ceremony patterned after the Passover Seder and observed on the night of Tu B’shevat, the 15th of the month of Shevat, which coincides with the full moon. The seder features four cups of wine, a ritual text, various fruits, cakes and other delicacies. In place of the story of the Exodus from Egypt the Tu B’Shevat seder uncovers the inner dimensions of reality as revealed in nature. In place of matzah and chicken soup with matzah balls, there are a dozen kinds of fruit. In place of Seder plates, there are plates piled high with fruits. 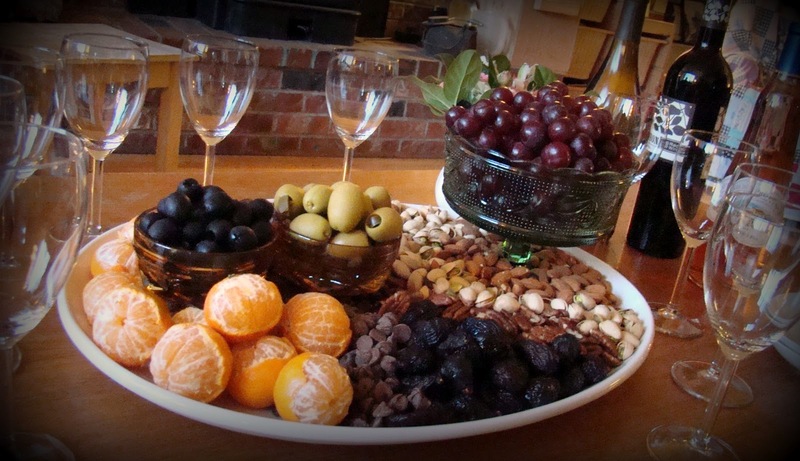 What you will need for your seder: Red wine, white wine, beer, cake, olives, dates, grapes, figs, pomegranates, walnuts, almonds, carob, apples, pears, and if you can, candied etrog rind. In addition, bring other fruits with inedible shells or peels, fruits with edible skins, but have seeds, fruits that are totally eaten, and fragrant fruits. Use as many different kinds of fruit as you can find, especially exotic fruit that you rarely eat. How to make it happen: Gather a group of friends, and ask each to bring something for the feast. Set the table with a fine tablecloth, candles, flowers etc. Have a good time – there is really no “wrong” way to do the Seder. You can use my Seder guide as a roadmap and feel free to improvise, make additions, sing and dance! Contact me if you have any difficulties with the download and we will email it to you! Shabbat Tent and Pico Shul are organizing the second annual Mountain High Shabbat Spiritual Adventure for young adults in their 20s and 30s, August 22-24, in the Angeles National Forest Jackson Flats Campground. This awesome summer camping weekend will take place from August 22-24 at Jackson Flats Campground 7,500′ high in the Angeles National Forest. Grab your backpack and camping gear, and we’ll provide the food, l’chaims, and spirituality. Space is very limited, so we need everyone to apply. Fill out this application if you are interested in this adventurous spiritual retreat. We will do our best to include all who apply, but unfortunately we cannot promise a spot to everyone this time around. I will be leading the teaching and Shabbat programs. Upon acceptance to the program you will have 48 hours to submit your registration fee or potentially loose your spot. Registration prior to Aug. 11th costs $75, and afterwards cost $99. Price includes camping and kosher meals from Friday dinner through Sunday brunch.